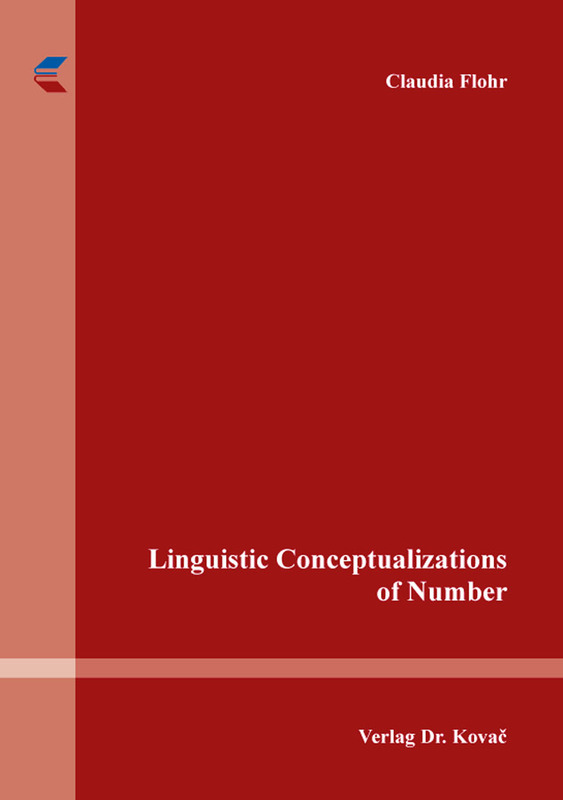 Linguistic Conceptualizations of Number. Dissertation von Claudia Flohr, Verlag Dr. Kovač 2018, 304 S.
Embodiment is a common element of both abstract mathematical concepts and linguistic schematic structure. Mathematical structures have developed from embodied cognition. Language comprises semantic structures, which relate to schematic structures that also derive from embodied cognition. The present work investigates Image Schemas in learners’ speech when talking about mathematical concepts. Image schemas are pre-conceptual patterns that result from embodied cognition and that feature in language use on the conceptual structural level. The present work takes a cognitive linguistics perspective on the linguistic construal of mathematical concepts and will reveal which image schemas are relied upon for the cognitive representation of mathematical structures. It includes a description of the theoretical, cognitive linguistic, framework that comprises image schemas, cognitive representation and Cognitive Grammar. The work also outlines the mathematical concept of numbers, different number ranges as well as basic operations and demonstrates how image schemas and mathematical structures link up. In the analysis, the empirical data, which come from bilingual learners of mathematics, will be examined in order to show how mathematical concepts are linguistically construed by cognizers that are engaged with mathematical conceptualization. This analysis will include a linguistic construal description that leads to the construal dimensions and image schemas prevalent in the construals. Furthermore, I will evaluate how the cognitive representation thus arrived at relates to the actual mathematical structure it represents. The analysis will show that diverse image schematic structures grounded in SPACE, LOCOMOTION, CONTAINMENT and UNITY/MULTIPLICITY are relied upon by cognizers in order to conceptualize numbers. Various construal dimensions of perspective, attention and salience will reveal more fine-grained relations between image schematic structures and mathematical structures. The findings show that linguistic construals of mathematical concepts rely on various image schemas and that they can be used to reveal a more profound understanding of the learners’ conceptualization.